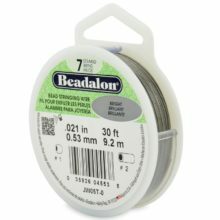 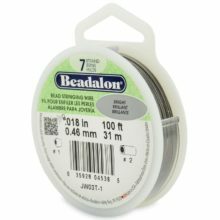 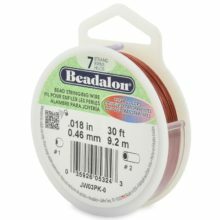 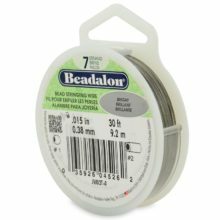 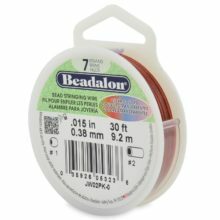 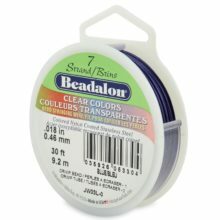 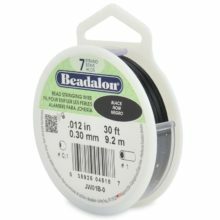 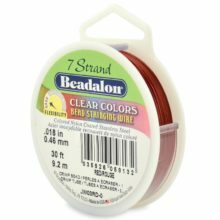 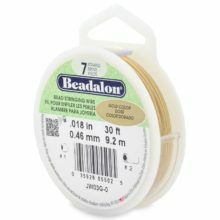 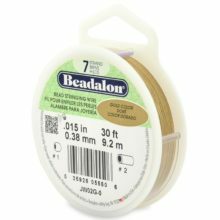 Beadalon 7 is flexible and is best used for heavy beads. The larger diameter wire will withstand abrasion much better than smaller sizes and provide the added strength needed for stringing larger, heavier beads or beads that have expanded or somewhat irregular drill holes. Use Beadalon crimp #2 with diameters 0.024 and 0.026″. Use Beadalon crimp #1 with diameters 0.010 to 0.021″. .010″ Excellent for bead weaving. 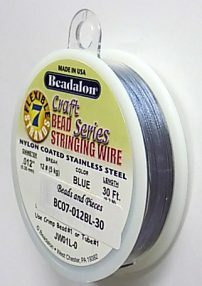 Peyote stich, and small seed beads. 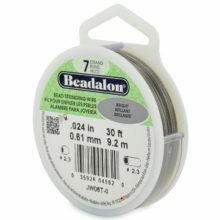 .012″ / .013″ Great for Australian crystals, seed beads, fresh water pearls..
.015″ / .018″ The most versatile size available. Use with medium to heavy glass, metal, ceramic & fiber-optic beads. .020″ / .021″ Use with metal, large, or heavy beads with medium to large drill holes such as garnet, crystal & glass. .024″ / .026″ Terrific for metal, large, or heavy beads with large drill holes.